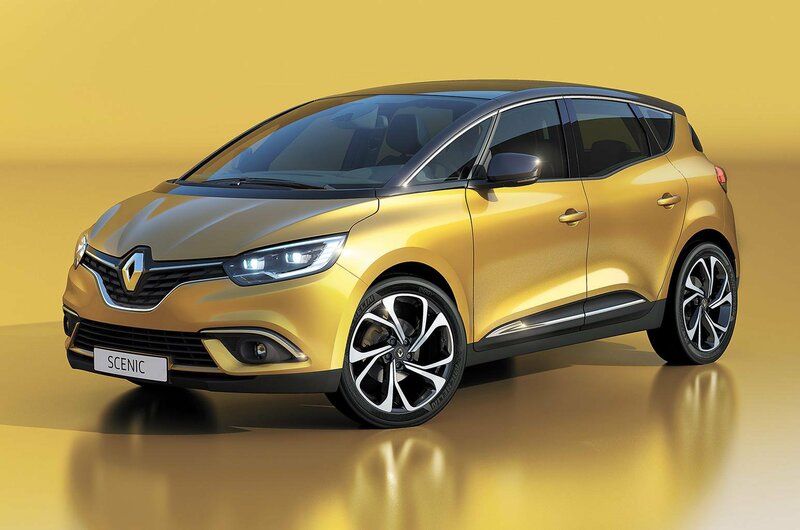 New Renault Scenic revealed ahead of Geneva motor show | What Car? The new, fourth-generation Renault Scenic has been revealed prior to its official debut at the Geneva motor show next week. Renault's medium-sized MPV has ditched its former shape, and now takes on the muscular appearance of an SUV. Such vehicles sell very well across Europe, while sales of traditional people carriers are falling, so it's no surprise to see Renault going down this route. The latest Scenic takes some inspiration from 2011's R-Space concept car, and keeps design flourishes from that model including a low roofline and large 20in wheels. The Scenic is also wider than before, with a higher ground clearance. In a short statement accompanying these early images, Renault says the "guiding principle behind the fourth-generation Scenic was to provide a completely fresh take on the MPV." More details on the new Scenic, including its engine range, launch date and pricing in the UK, are expected at the Geneva show.